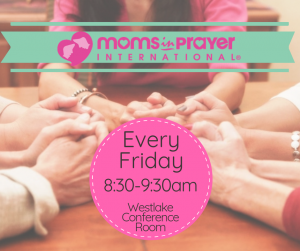 Every Friday a group of moms meet together in the cafeteria after drop off to boldly go before our God on behalf of our families and school. If you are not familiar with Moms in Prayer, go to their website! They were previously called Moms in Touch. We meet and pray for 1 hour. Our hour together is divided into 4 parts. First, We praise God for WHO he is. Last week we gave praise to God that he is generous, one who bestows abundant blessings and provision; one who is liberal in giving. 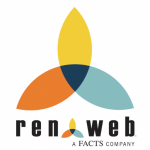 Check out their weekly prayer sheets here. Psalm 65:9-13 You visit the earth and water it; you greatly enrich it; the river of God is full of water; you provide their grain, for so you have prepared it. 10 You water its furrows abundantly, settling its ridges, softening it with showers, and blessing its growth. 11 You crown the year with your bounty; your wagon tracks overflow with abundance. 12 The pastures of the wilderness overflow, the hills gird themselves with joy, the meadows clothe themselves with flocks, the valleys deck themselves with grain, they shout and sing together for joy. Next we spend a few minutes silently confessing our sins to God. Then we have a time of Thanksgiving; thanking God for WHAT he has done. And we end with a time of intercession for our children and for the school. Each mom prays a request for one of her children and the moms in her group pray over that request with her, then the next mom prays a request, etc until all moms have prayed and been prayed for. I know not everyone is able to come, so I wanted to post the sheet we prayed through and explain a little of how it works if any of you were interested in doing this on your own time. It is truly a blessing to meet with other like-minded moms and pray together for each other’s children. I’ve started putting the extra prayer sheets on the bulletin board outside the office; feel free to take one! Or go to their website and print it out, or message me and I can send you the link for what we prayed each week. If there is any way you can carve out one hour on Friday mornings to join us, I know you will be blessed! We have such great families at Westlake! God is at work in this place! !